The title of this article was taken from an article that I wrote below entitled “Baptismal Regeneration (BR) Reduced To Absurdity”. Since, even though it is denied by CoCers with the use of semantics, BR is one of the foundations of the CoC, I thought the title would transfer over great. “Hi xCoC,,, I am glad it helped you visiting this site. let me give ya a couple of links I think you will like then I will tell ya why I will not try to be more polite to CoC’ers. Here is where you can buy the whole thing. This ex-coc member (he has a great site HERE) is right when he says,,,”The Church of Christ denomination uses four main tactics in debating their pet doctrines. These tactics are generally used by all cultic groups. They are: 1. Change the subject 2. Take scripture out of context 3. Straw man arguments 4. Ad hominem attacks (attacking you instead of the issue). I am lacking in politeness for a few reasons. But the most prominent one is that the CoC will use trollish tactics (meant just to get an emotional responce) and disregard the basics of logic and Logical Interchange (discussion). AND for those who have not had the pleasure of debating CoC for years as I have. People do fall for the twisting of Scriptures and sometimes it gets tough having to exchange with several people at once who’s only objective is to make you look bad and the CoC as the only one true church. AT ALL COST!!! and BY ANY MEANS!! I have to politely dissagree. The only cult I have more exposure to than the CoC is the Mormons. I have debated “Paid Mormon Scholars” and they are not as bad as the regular CoC folks,,, much less “CoC Scholars”. What follows is highlights of several debates that went on for weeks. Many comments, of which there are 67 in total, where left out of this post for space and times sake but all the different exchanges can be seen here. CHURCH OF CHRIST CULT by David J. Stewart. These debates contain links to many other CoC articles I have written, so even considering this post is very very long,, it will be worth your time if your a seeker,, or interested in what the CoC teaches and how they debate doctrines,, this will be worth your time to read,,, at least ex-CoC thought it was worth his time. The first exchange is with “Efrem Williams”. After several post refuting Eframs attempts to set paramteters for the debate in his favor,, I first started to biblically address what Efram said with……. Hi Efram, Good to see ya back. Yes I said the next move was yours. You say the scriptures speak for themselves, and yes they do. Your job is to prove that the 10 -15 verses that Baptismal rengerationist use to say baptism is required for salvation, actually mean that baptism saves. Specifically the ones you used in your first post. To do so you have to prove that the rest of the bible is WORTHLESS for salvation without those verses. Cause any cursory reading or in depth analysis of Scripture shows that atonement happened at the Cross and is applied to the believer WHEN HE BELIEVES. OT rituals was a foreshadow and TYPE of the crucifixion. JUST AS baptism is ONLY A TYPE (symbol) of the Atoning death of Jesus and his resurrection and thus our new life IN HIM. My article here explores the Lunacy of Baptismal regeneration. Here are a few relevant post from this blog. This thoroughly explains WHAT SALVATION IS and how it is accomplished and applied. This post contains OVER 160 verses that claim Justification (Salvation) is by faith alone. No water baptism or ANY human act of obedience. Even grace and faith are gifts. Here are the verses, they are all copied and pasted on the post. 150+ Verses Proving Justification by Faith Alone: by J.B. Hixson, Th.M. This just shows how much you don’t know the bible. The bible says THERE IS NO REMISSION OF SIN without the shedding of blood. Heb 9:22 And almost all things are by the law purged with blood; and without shedding of blood is no remission. And certainly if the ritual of shedding animal blood cannot remove sin. NIETHER CAN WATER. This is patently absurd. What is “rolled forward” supposed to mean. The Bible clearly says the LAW WAS FOR Gal 3:24 Wherefore the law was our schoolmaster to bring us unto Christ, that we might be justified by faith. FAITH, NOT BAPTISM. The law is to increase sin so that grace may abound, AFTER ONE SEES HIS SINFULLNESS AND NEED FOR A SAVIOR. A SACRIFICE NOT a Roman Catholic ceremonial sacrament that has damned millions and the RCC killed millions because of. FUNNY this verse says NOTHING about atonement. TEXT WITHOUT CONTEXT IS PRETEXT. NO MENTION OF BLOOD Nothing but your preconceived notions due to your need to support your doctrine and HAVE A HAND in your own salvation. The phrase “baptized into” means here “to identify with.” It cannot mean that baptism is the means by which we enter into union with Christ. This would be ritualistic communion and Paul in no way ever talked in you ritual was necessary in order to be saved. Instead, Paul taught that baptism represented identification with Christ. BUT THE ACTUAL MEANS OF BEING “BAPTIZED INTO CHRIST” IS SPIRIT BAPTISM WHICH OCCURS at the moment of faith. ALL YOU baptismal regnerationist make the fatal mistake of applying water every time you see the word baptize, cleans, or wash. According to the Bible, you can be baptized without getting wet. These were all baptized into Moses. They were identified with Moses when they crossed that sea on dry ground, and they did not get wet at all. There are so many people who, immediately when they see the word “baptism,” attach to it the idea of water baptism. But if you study the word of God, you’ll find out that most of the time when the word “baptism” is used, it is not talking about water baptism in any sense. TO BE “IN CHRIST” is SPIRIT BAPTISM. Yeh I know most of you CoCers say that the Holy Spirit is NOT GOD and that He does not indwell believers. Clearly ONE MUST BE BORN AGAIN, NOT OF WATER as the first birth,,,,, BUT OF SPIRIT. Do you still marvel that YOU MUST BE BORN AGAIN? Rom 8:9-11 But ye are not in the flesh, but in the Spirit, if so be that the Spirit of God dwell in you. Now if any man have not the Spirit of Christ, he is none of his. and if Christ be in you, the body is dead because of sin; but the Spirit is life because of righteousness. But if the Spirit of him that raised up Jesus from the dead dwell in you, he that raised up Christ from the dead shall also quicken your mortal bodies by his Spirit that dwelleth in you. Save yourselves (sōthēte). First aorist passive of sōzō. Literally, Be ye saved. – This Expression here denotes, preserve yourselves from the influence, opinions, and fate of this generation. CAN A MAN SAVE HIMSELF? If he could,, HE WOULD NOT NEED A SAVIOR. YES YOU SHOULD READ ACTS 2:40 (EVEN ACTS 2:38) IN CONTEXT Because you DO NOT DO SO You falsely assume that the topic is water baptism for remission of sins. BUT PETER TELLS CLEARLY AND OBVIOUSLY how salvation and remission of sins happen. THEREFOR we know that Peters use of IES (the Greek preposition translated for) should be Rendered because of. AS THIS VERSION SHOWS Act 2:38 (ALT) Then Peter was saying to them, “Repent, and let each of you* be baptized in the name of Jesus Christ, to [or, for; or, because of] [the] forgiveness of sins, and you* will receive the free gift of the Holy Spirit. THIS POST DEALS WITH ACTS 2:38,,,,, at least watch the Greek grammar video CAUSE IT IS A SALVATION ISSUE!!! NOW WE WILL LOOK AT YOUR USE OF SCRIPTURE IN YOUR FIRST POST. Nope THE WORK OF GOD IS Joh 6:29 Jesus answered and said unto them, This is the work of God, that ye believe on him whom he hath sent. AND “work of God” means that He does it, No man comes unless the Father draws him AND Rom 8:30 Moreover whom he did predestinate, them he also called: and whom he called, them he also justified: and whom he justified, them he also glorified. Rom 8:31 What shall we then say to these things? If God be for us, who can be against us? I covered most of this already but maybe you need to see again the context and what Jesus meant. Joh 3:3-8Jesus answered and said unto him, Verily, verily, I say unto thee, Except a man be born again, he cannot see the kingdom of God. Nicodemus saith unto him, How can a man be born when he is old? can he enter the second time into his mother’s womb, and be born? Jesus answered, Verily, verily, I say unto thee, Except a man be born of water and of the Spirit, he cannot enter into the kingdom of God. That which is born of the flesh is flesh; and that which is born of the Spirit is spirit. Marvel not that I said unto thee, Ye must be born again. The wind bloweth where it listeth, and thou hearest the sound thereof, but canst not tell whence it cometh, and whither it goeth: so is every one that is born of the Spirit. NOW WHAT DID JESUS MEAN. We are born in water in our mothers womb. Born by water is in response to “can a man enter the second time into his mothers womb”. Jesus tells him NO BEING BORN OF WATER IS NOT GOOD ENOUGH. YOU MUST BE BORN OF SPIRIT. Acts 3:1-4:4 – Peter and John where preaching at the temple (3:1) and in verse 19 the people are told “Repent ye therefore, and be converted, that your sins may be blotted out, when the times of refreshing shall come from the presence of the Lord”. And in Acts 4:4 about 5000 believed. There is no mention of baptism. Acts 5:1-14 – After Ananias and Sapphira where struck down by the Lord, fear came upon the people (v.11) and many signs and wonders were wrought among them (v.12), as a result multitudes where added to the Lord. Act 5:14 “And believers were the more added to the Lord, multitudes both of men and women”. There is no mention of baptism. Acts 9: 32-35 – After Peter healed a certain man with palsy “…all that dwelt at Lydda and Saron saw him, and turned to the Lord” (V. 35) There is no mention of baptism. Acts 11:19-24 – After preaching Jesus in Antioch (v.20) A great number believed and turned to the Lord (v.21) and were added to the Lord (v. 24). There is no mention of baptism here except in verse 16 and that is referring to John’s baptism by water and the baptism with the Holy Ghost. And that happened before Barnabus arrived in Antioch. Acts 13:6-12 – Sergius Paulus desired to hear the word of the Lord. Then by the hand of the Lord Paul blinded him for a season. Then he believed being astonished at the doctrine of the Lord. There is no mention of baptism. Acts 13:42-52 – Paul and Barnabus where preaching in the synagogue to the gentiles “And as many as had been appointed to eternal life believed” (v. 48). There is no mention of baptism. Acts 14:1 – “And it came to pass in Iconium, that they went both together into the synagogue of the Jews, and so spake, that a great multitude both of the Jews and also of the Greeks believed.” Another multitude, this time a great one, believed and there is no mention of baptism. Acts 17:10-12 – Paul and Silas were preaching the word in the synagogue in Berea, and “many” believed. There is no mention of baptism. Acts 17:22-34 “Howbeit certain men clave unto him, and believed: among them which was Dionysius the Areopagite, and a woman named Damaris, and others with them”. There is no mention of baptism. 1Co 1:17-19 For Christ sent me not to baptize, but to preach the gospel: not with wisdom of words, lest the cross of Christ should be made of none effect. For the preaching of the cross is to them that perish foolishness; but unto us which are saved it is the power of God. For it is written, I will destroy the wisdom of the wise, and will bring to nothing the understanding of the prudent. Romans 6:3-5 DOES NOT confirm your teaching that salvation come at baptism. But you should play close attention to terms such as “like as” “in the likeness of” This is clearly symbolical language. IF YOU WOULD JUST READ YOU NEXT “PROOFTEXT” YOU WOULD SEE THAT BAPTISM IS ONLY A SYMBOL. NOTHING THERE AT ALL ABOUT BAPTISM. BUT I won’t hold 2 typos against you. Neuter of a compound of G473 and G5179; corresponding (“antitype”), that is, a representative, counterpart: – (like) figure (whereunto). A “LIKE FIGURE” is an anti-type. NOT THE REAL THING. Water baptism is the antitype of Spiritual baptism and being “IN CHRIST” as was Noah saved by the ARK another antitype of being in Christ. It IS NOT the putting away of the filth of the flesh through water BUT it is the answer to a clear conscience that saves. How does a man clean his conscience? WHAT IS DEAD WORKS ? These two scriptures show the phrase “dead works” in context indicates that this means that man cannot be justified by the works of the law, but only by the blood of Jesus Christ. In other words “repentance from dead works” is the doctrine that we must repent from trusting in our own dead works to save us. Instead, we must trust in Jesus Christ alone for salvation. Act 15:1-5And certain men which came down from Judea taught the brethren, and said, Except ye be circumcised after the manner of Moses, ye cannot be saved. When therefore Paul and Barnabas had no small dissension and disputation with them, they determined that Paul and Barnabas, and certain other of them, should go up to Jerusalem unto the apostles and elders about this question. And being brought on their way by the church, they passed through Phoenicia and Samaria, declaring the conversion of the Gentiles: and they caused great joy unto all the brethren. And when they were come to Jerusalem, they were received of the church, and of the apostles and elders, and they declared all things that God had done with them. But there rose up certain of the sect of the Pharisees which believed, saying, That it was needful to circumcise them, and to command them to keep the law of Moses. WOW ANOTHER CASE OF CONTEXTAMONY and NOT ONE WORD about baptism. NOT EVEN IN THE WHOLE CHAPTER. Real Churches say Believe and be saved, then be baptized. CULTS SAY BE BAPTIZED TO BE SAVED. It is by far NOT a misnomer to call the CoC a CULT. It teaches what ALMOST EVERY CULT TEACHES Baptismal regeneration, saved by water. Mormons, Seventh day Adventist, Jehovahs witness and many more cults BELIEVE JUST AS the CoC on baptism. Except each says that only Baptism IN THEIR church saves. Well lets see. You use Scripture out of context, Quote scripture that don’t even mention what your talking about, and only about half of them are typos. AND YET YOU HAVE DONE NOTING BUT SHOW THAT YOUR STILL NOT SAVED BECAUSE YOU HAVE NOT TRUSTED IN JESUS FINISHED WORK THROUGH FAITH ALONE. Eph 2:8 For by grace are ye saved through faith; and that not of yourselves: it is the gift of God: Eph 2:9 Not of works, lest any man should boast. Hebrews 8:12 For I will be merciful to their iniquities, And I will remember their sins no more. Hebrews 10:17-18 And their sins and their lawless deeds I will remember no more. 18 Now where there is forgiveness of these things, there is no longer any offering for sin. Isaiah 44:22 I have wiped out your transgressions like a thick cloud, And your sins like a heavy mist. Return to Me, for I have redeemed you. Micah 7:19 He will again have compassion on us; He will tread our iniquities under foot. Yes, Thou wilt cast all their sins Into the depths of the sea. Isaiah 38:17 Lo, for my own welfare I had great bitterness; It is Thou who hast kept my soul from the pit of nothingness, For Thou hast cast all my sins behind Thy back. DO YOU STILL NOT BELIEVE CHRIST DOES IT ALL? HAVE YOU BEEN BORN AGAIN OF SPIRIT? HAVE YOU REPENTED OF YOUR “DEAD WORKS”? Joh 3:7 Marvel not that I said unto thee, Ye must be born again. The wind bloweth where it listeth, and thou hearest the sound thereof, but canst not tell whence it cometh, and whither it goeth: so is every one that is born of the Spirit. Nicodemus answered and said unto him, How can these things be? Jesus answered and said unto him, Art thou a master of Israel, and knowest not these things? Verily, verily, I say unto thee, We speak that we do know, and testify that we have seen; and ye receive not our witness. If I have told you earthly things, and ye believe not, how shall ye believe, if I tell you of heavenly things? And no man hath ascended up to heaven, but he that came down from heaven, even the Son of man which is in heaven. And as Moses lifted up the serpent in the wilderness, even so must the Son of man be lifted up: That whosoever believeth in him should not perish, but have eternal life. For God so loved the world, that he gave his only begotten Son, that whosoever believeth in him should not perish, but have everlasting life. For God sent not his Son into the world to condemn the world; but that the world through him might be saved. He that believeth on him is not condemned: but he that believeth not is condemned already, because he hath not believed in the name of the only begotten Son of God. First, i understand typology and yes, the OT sacrifices was a type pointing to the ultimate sacrifice of Jesus, however baptism was a “type” from Exodus 14:22,30 as the Israelites pass through the sea pointing to the baptism one must recievs today for the remission of sins.. We know this because Paul clearly stated this in I Corinthians 10:1-4 of the baptism that would occur during the reign of Christ, which Christians now live. It was thoroughly dealt with. I have some things to do,,,,,,,, but I will return to decipher and unravel your continued obfuscations tonight or tomorrow. Then Efram flooded the post with comments after I asked him repeatedly to wait for me to respond to his last accusation,, so I banned Efram. The nest CoC debater up was Cris Jesse. He started with…..
One must fight tooth and nail if they are to stand against what God has declared He will do at baptism. I’m curious, what exactly do you think baptism accomplishes Damon? Do you believe that it should be removed from the Bible? If not, then why did God put it there (please have verses to back up this answer)? If one takes every verse that mentions baptism, and lists everything that the BIBLE says is linked to baptism, what would that look like Damon? I was hesitant to post here because you seem to speak with a bloodlust and not compassion for those you feel are lost. But love hopes all things, endure all things, so I figured I should post anyway. Thank you Efrem for standing up for the truth. And thank you Damon for being willing to open the Bible in this discussion, I’m still looking forward to it. Chris,,, You say that I would have to work hard to stand against what God has taught about baptism. Well don’t just assert your so called truth about baptism with a few subjective rhetorical statements that are meant to appeal to piety. PROVE YOUR POINT. I will be waiting for ya’lls next move. Let the readers see how to do the CoC circular reasoning shuffle. OF ALL cults I have interacted with over the years. NO ONE uses straw men arguments, diversion tactics, changing the subject and other logical fallacies MORE THAN THE COC. I am sure we will all be entertained for awhile. I will dance with you guys for a few songs. I’ve never run into “CoCers” who say this, though I do not doubt you have. I know there are groups out there that call themselves by the name CoC and are not in fact His Church. But please be careful not to give the impression that all who use that name fall into whatever group it is you are talking about. The congregation I’m at uses the name “Church of Christ”, though we also use any other name in the Bible to describe ourselves. We certainly believe that the Holy Spirit is God. We also believe that one recieves salvation at the point of baptism, but only by the power of Christ’s blood (not by the water). We do not teach that anything but the blood of Christ can impart salvation. But that does not mean that one should lump us into the same group as all others who link salvation and baptism. Regarding 1 Peter 3:20-21- You brought out the term “like figure”. Can you please, by the grammer rules of greek, show what this term is directly linked to in the passage? Hi Chris, Notice I said MOST. Out of about 20 CoC members I have interacted with, all but 2-3 Deny the deity of the HS. Several of them go as far as to Personify the Bible as the HS to do so. AS shown in my post here. 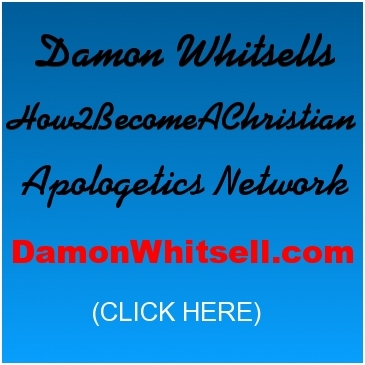 My post emphatically shows that salvation happens at the POINT OF SAVING FAITH. Exactly what the list of 160 + verses I listed show. NO MATTER WHAT YOU SAY you clearly teach that water saves. OR AS YOU PUT IT ‘Imparts salvation”. If salvation happens at baptism, then the mode and substance of “Imparting salvation” or apllying salvation is WATER. You can dance in semantical circles all day long. IT WON’T CHANGE THE FACT that you teach grace plus obedience, and atonement by blood ONLY WITH WATER. The antecedent is NOT CLEAR. Because the Greek word for “LIKE FIGUE” antitupon is in the neutered Gender and so is it’s preposition “HO” the term LIKE FIGURE could GRAMMATICALL point to either the ARC of Noah or Water. But common sense and logic shows that they WHERE NOT SAVED BY THE WATER. They where saved BY BEING “IN” THE ARC, which is THE like figure of being “in” Christ. WHY WOULD YOU ASK If you don’t think water saves? byG1223 water.G5204 THIS SHOULD BE RENDERED “THROUGH“ water. A primary preposition denoting the channel of an act; through (in very wide applications, local, causal or occasional). In composition it retains the same general import: – after, always, among, at, to avoid, because of (that), briefly, by, for (cause) . . . fore, from, in, by occasion of, of, by reason of, for sake, that, thereby, therefore, X though, through (-out), to, wherefore, with (-in). In composition it retains the same general import. (CEV) They had disobeyed God while Noah was building the boat, but God had been patient with them. Eight people went into that boat and were brought safely through the flood. (ESV) because they formerly did not obey, when God’s patience waited in the days of Noah, while the ark was being prepared, in which a few, that is, eight persons, were brought safely through water. (MSG) because they wouldn’t listen. You know, even though God waited patiently all the days that Noah built his ship, only a few were saved then, eight to be exact–saved from the water by the water. (Murdock) which were formerly disobedient, in the days of Noah, when the long suffering of God commanded an ark to be made, in hope of their repentance; and eight souls only entered into it, and were kept alive in the waters. (WNT) who in ancient times had been disobedient, while God’s longsuffering was patiently waiting in the days of Noah during the building of the Ark, in which a few persons–eight in number–were brought safely through the water. First regarding the CoC name. People lump me in the “restoration movement”. But it’s only partly so. As far as I know what I believe from God’s word lines up with much of what is believed by the “restoration movement” group. I fellowship with them. But I do not use that term, I simply belong to Christ. And of those who would be considered part of the “restoration movement”, none of them that I’ve met say that the Holy Spirit is not God, and none of them say He does not dwell within us, and none of them limit His working to only through the Bible. I would ask you to consider looking deeper into those who use the name “CoC” or even those who would say they are part of the “restoration movement”. Your post here would tell the world that anyone who uses these terms is just like the people you’ve encountered. And that’s far from the truth. I’m not speaking to your motives for this, I don’t know them for sure. I am rather pointing out a truth about a people that seems to not have crossed your path until now. In regards to the “restoration movement” specifically. I should clarify that, though I agree that we should be the Church as it was at first (as Jesus made it and as the Bible declares it to be), i think it is dangerous to call oneself after a “movement”. We are to obey Christ, not the attempts of fallen man. The goal of the restoration movement (as I understand it) is a good one. But only in so far as it brings those who’ve strayed from God back to Him. So with all that said, I will not submit to the restoration movement as any authority over me. I submit to Christ. The problem I’m having with that is that, as you said, the term “like figure” is pointing backwards (towards either the Arc of Noah or water), but it is not pointing to baptism. That’s the way I’ve always understood the passage, and your own description of the greek only supports it. And if that’s the case then baptism would be the real thing and Noah’s ark would be the anti-type. If I’m missing your point please clarify. There is a lot of stuff to follow with all the long replies. I’m trying to deal with one passage at a time so I don’t get lost. I would like to discuss this further, but after we’ve been able to better consider 1 Peter 3. This discussion has become a jumbled mess, and miscommunication is going to be a problem. Hi again Chris, Hey thanks for coming back and asking questions. I feel your question is handily answered in my post above. One type looks forward, the other backwards. Your comment here sent of flood of thought responses into my brain. I will have to take some time to digest the thoughts and try to briefly summarize them. My response will probably still be lengthy. I have some things to do today BUT I want to be thorough. I will post a response tonight or tomorrow. I spent about 3 hrs responding to you and Ephram last night. After I do my daily posting and get my house work done I will be back with that comment. To be honest, I would rather take one or two points and follow them out to some conclusion. BUT AS WITH “MOST” CoC’ers I have met. That is the last thing they or Efram would want to do. Instead they will obfuscate falsehood after falsehood by Paraphrasing the word (INSTEAD OF QUOTING word for word) and interjecting their own pre-text, as Ephram just did excessively. IN my response I will only examine one of your principle precepts. Your attempt to disassociate yourself from your theological and historical roots. BUT it will still be lengthy. You can counter respond,,,, or take any one or two subjects or points of your choice and we can run it up the flag pole and see if it will fly. Thank you again for taking the time to keep up on this post. There’s a lot here to read. I would not be back if I thought we could not have a good discussion. However, I do have a concern about your responses to a specific question that both Bill and I have asked you. As far as referring to 1 Peter 3’s language regarding your view that baptism is a symbol, do you mean to say that baptism being a symbol is directly in the passage? This verse in no way calls baptism a symbol. One must insert that meaning into the verse if they want to see it here. these are the only direct statements the verse makes about baptism. The only other point (that I can see) that could be made from this verse’s own statements about baptism is that it is obviously an immersion into water. I say this because Paul clarifies that washing dirt away does not save. But saying that it is water is a conclusion of reasoning, not Paul’s direct statement. It is possible that one could try to bath in another substance to wash filth off of their body, though they would then need to wash that substance off as well because it would also be considered filth… which would, in the end, require a water baptism to clean their body. For certain the Spirit of God does not wash filth off of the physical body, nor does the spirit of man. The agent here must be a physical one, with the subject being both physical and spiritual and the result being spiritual. One can only call the baptism in this verse “spiritual baptism” in so far as they mean this: that the body of the man is baptized in something physical and his spirit is spiritually affected by that physical baptism. No further spiritual inference is possible from the verses own words. So I ask you once more in good faith, what do you believe baptism is for? Along with your own words, please provide Scriptures that themselves (without inserted opinion) validate your belief on the purpose/meaning/function/etc… of baptism. If people are to know the truth about baptism, then they need to know it is truth that comes straight from His word. We cannot ask one another to believe something simply because we believe it ourselves. We must have Christ as our solid foundation. Thank you again for your time Damon. I pray, if it is the Lord’s will, that in your radio show the truth of God will be known, accurately supported by His Word. And I pray that you will be able to know it and present it there, accurately and from the heart. Hi Chris, Hey thank you for the cordiality. And especially TY for the last part of your post. I hope that God hears our prayers. Hey look man, I am reasonable and almost decent guy. I do not try to misrepresent anyone. I look at beliefs that I see as contrary to the bible. Because I have about 12-15 cult members (3 different cults) and someone in my family was interested in the occult. Well I have been a target for most of my life because of my mainline Christian beliefs. I even had my Dad make fun of me (and the rest of my immediate family),, from about 7-8 until about 38 yrs old, about believing in Jesus because of how he was treated by these family members before I matured. And I have a bad taste in my mouth because of some CoC members I have interacted with. AND I do realize that NOT ALL CoC are the same. There are even many, over a dozen divisions of CoC (historically speaking). I read several times, from 20-70 % are cultic. And have never found onemember to not be,,, personally in teachings. IT IS NOT my fault that ya’ll do have a form and level of autonomy and some CoC act the way they do. I know it is not yours. BUT hey. I do NOT see myself as fighting coc or the coc. Invisible is the war I engage. And a little bit in the information arena too. But not from hatred BUT that people will know the truth and as few as possible have to succumb to false teachings. I will have to get some sleep before I decided to answer your post or not. But TY for writing in a descent way. And then Chris never commented again. There is no way that I could refute all of the false teaching set forth in your article concerning the Church of Christ in few words, but I will say the following for a start. I have been a member of the Church of Christ since 12 years old, my parents took me all the years possible before that, I will be 70 my next birthday and I have never heard a Church of Christ preacher or anyone else in the Church say you have to have a Church of Christ preacher baptize you, in fact I am not a preacher, but I have personally baptized a few. How one could contend that a Church of Christ preacher is not saved and at the same time advocate that all you need to do is believe in Christ as your Lord and Saviour is beyond my imagination. The Church of Christ teaches that you must believe in Christ as your Saviour. If that is what saves you, how could doing anything else make your salvation void? It is correct to say that “to repent” means “to have a change of mind, or as Strongs says: to think differently. It is from the Greek word “met-an-o-eh-o”. But I believe all would have to admit that the mind set of the people that Peter was preaching to in Acts 2: 38 was that of living in sin or trying to live according to the Old Law. They needed to change their way of life in many ways as well as their attitude toward Christ. If you notice in Acts 2: 38 Peter said that repentance (and) baptism was (for) the remission of sins. Who would contend that you can be saved without your sins being forgiven. Notice that Peter said nothing about believing in these verses yet we know that they did after what Peter preached. Peter made it very clear that Both repentance and baptism was for the remission of sins. But the Greek word from which “for” is taken is the Greek word “eis” which according to Strongs dictionary means “to or into” and goes on to say it indicates the point reached or entered. “for the remission of sins” The same wording used in Acts 2: 38.
Who would contend that Jesus shed his blood “because of “ or sins being forgiven. If our sins were forgiven before he shed his blood their would have been no need for him to die. Matthew 26: 28 is speaking of Christ’s part in our salvation and Acts 2: 38 is speaking of our part. What Jesus told the disciples to do in Matthew 28: 18 – 20. Belief is for the remission of sins (Acts 10: 43). But notice when you go on down to verse 48 Peter commanded them to be baptized in the name of the Lord. Why would he do that if there was no need for it? Belief, repentance and baptism are all for the remission of sins. To claim that we don’t need to be baptized to be saved is contrary to what the scriptures teach. I could say much much more about this, but that will be enough for now. I pray that all will study and seek after the truth in the scriptures and not after the teaching of men. What I didn’t ask in my first comment is what do you believe baptism is for. You go to great trouble to try to prove it is not needed for salvation and you misrepresent scripure in doing so, but you have never said what you believe water baptism is for. That is unless I overlooked what you said about it. If that be the case I would appreciate it if you would put it in simple easy to understand words what you do believe concerning it. Or is it that you deny that water baptism is taught in the bible? I then responded to Bill with…..
WELL that is pretty simple Mr Bill. 2. An opposite or contrasting type. Very good Damon, but you didn’t answer my question. You only gave a definition of what an antitype is. the antitype (an-teet-oo-pan) in I Peter 3: 21 was Noah and eight souls being saved by water. Or do you deny that? It is also true that Noah and eight souls being saved by water foreshadowed baptism, which I Pet. 3: 21 says also doth now save us. or do you deny it says baptism saves us? the word baptism in this verse is the Greek word bap-tis-mah which means immersion. I fail to see how you can deny that the immersion spoken of in this verse is by water since that is exactly what I Pet. 3: 21 says foreshadowed what he was speaking of. Mr. Bill, I have NO obligation to respond to your loaded and meant to consternate questions. I AM SURE THAT PEOPLE ALL THAT ARE GODS ELECT,,,, will be able to see what the bible clearly says about baptism. IT IS ONLY A SYMBOL. JFI, I have never once had any intentions of winning a discussion with a cult member to get him saved and rescued. This blog is here for seekers to be able to find out what cults really teach before they get into one. AND it is aimed at those cult members that are not indoctrinated to teeth already by their cult, with the chance they might see the light of God. So any response I give to you is for the observers benefit. Then I had to cut Bill off with…. MR. BILL, Your comment was NOT approved. If after all this time of you visiting this blog,,, AND you still have not figured out that MY name IS NOT David,,, and I DID NOT write this article. THEN YOU WON’T BE POSTING HERE ANYMORE. It is one thing to spout an excessive diatribe against a man instead of HIS position and arguments. BUT it is quite another to have a faith that is so easily refuted and indefensible, that you have to visit opposing BLOGS because your scared someone is gonna get led astray, and ALL THE while, YOU have such an indifference for truth,,,, that you don’t even ask yourself,, Hey,,, DID THIS GUY WRITE THIS? AND then proceed to hurl stones at the writer,,,, anyway. There are many other exchanges at the post here. They never really evolved into anything of substance but are useful to see how CoCers will do just about anything to obfuscate the issues when debating. I hope someone somehow benifits from this post showing some of my debates with CoC’ers.